Sunday was National Wear Your Lilly Day, which I took as the perfect excuse to pull out and flaunt my Lilly for Target Shift Dress Upstream. Falling on both Father’s Day and the first official day of Summer, I couldn’t think of a better excuse to wear a bright and colorful print with little fishes swimming all over it. 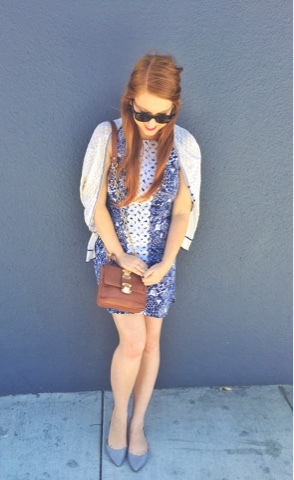 I paired the dress with a much beloved pair of grey Sole Society flats and mini bag, an eyelet cardigan from Forever 21 and my trusty Rayban wayfarers. Ladies, it’s definitely time to pull out your Lilly’s! 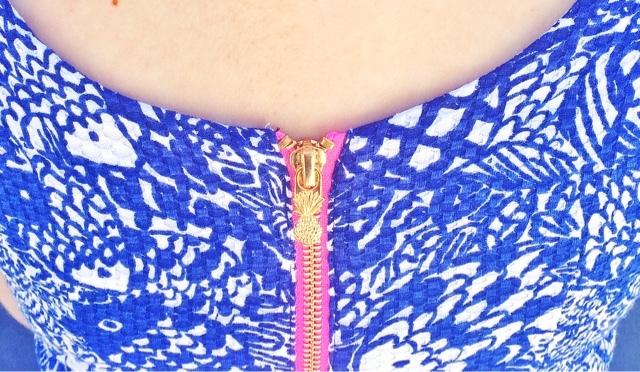 I love the fuchsia pink detailing on the zipper and the little gold pineapple zipper pull. 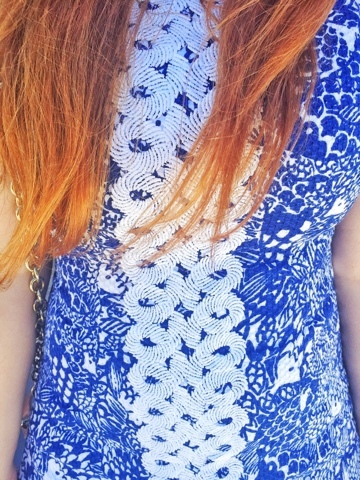 The bright blue swimming print always puts a smile on my face. 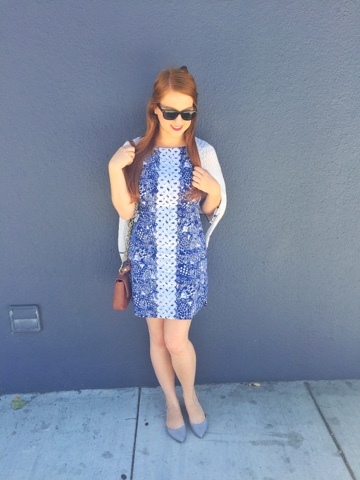 What’s amazing about Lilly dresses is that they never go out of style. Big bold colors and bright prints are timeless from year to year. That’s how I know you will find me wearing this dress years down the line. 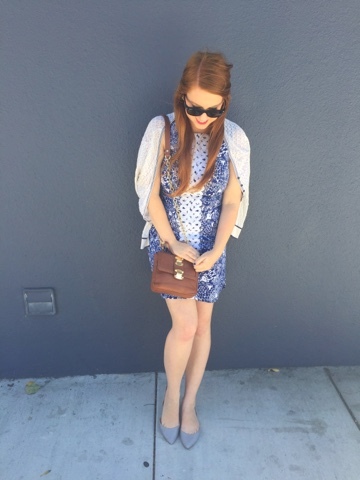 It’s so nice to have a dress that I won’t have to donate next season. I’ve never been so excited to repeat an outfit. Love the Lilly for Target line and I wore my Lilly this day as well. Sole society is my favorite!! And you just can't beat forever 21 prices. Love this look!